The View You Always Wanted. We Can Custom-Build It For You. 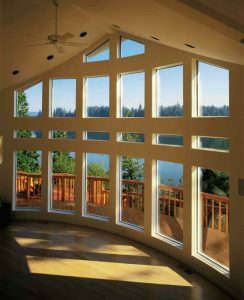 Picture windows are the perfect style of window to provide you with an expansive panoramic view of the world outside, as well as to make the room they brighten seem larger and more open. Clear Choice Energy Solutions picture window profiles can be made into several dynamic combination shapes. Let your imagination go and design the window of your dreams. We offer two different profile frames of our picture windows to perfectly match any other window in a combination unit, again showing the attention to detail.